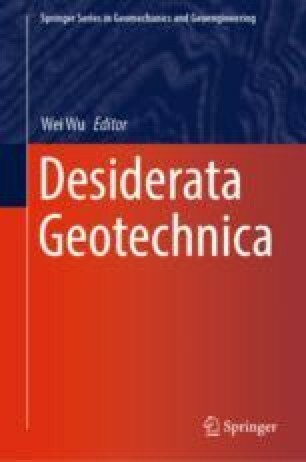 The cognition of natural soil and rock, called geomatter as it is not a simple material, is impeded by opaqueness and wild randomness so that Aristoteles’ induction and Popper’s demarcation of theories are seemingly insufficient. This can be attributed to critical phenomena with seismogeneous chain reactions which exhibit fractal features, leave back permanent traces and elude mathematical treatment in general. In the stable range of grain fabrics buckling force chains cause a heat-like micro-seismicity which activates redistributions and can be captured mathematically. This is no more possible for chain reactions due to a positive feedback by seismic waves and pore water diffusion, with sizes from sand-boxes to subduction zones. Successions of them can be captured probabilistically by power laws with lower and upper bounds, which should be estimated in a rational way for keeping the geotechnical risk acceptably low. For this aim one should reduce deficits and avoid defects of cognition. I owe stimulations for the present paper particularly to Roberto Cudmani (Munich), Gerhard Huber (Karlsruhe), Demetrios Kolymbas (Innsbruck), Mario Liu (Tübingen), Andrzej Niemunis (Karlsruhe) and Asterios Touplikiotis (Karlsruhe).